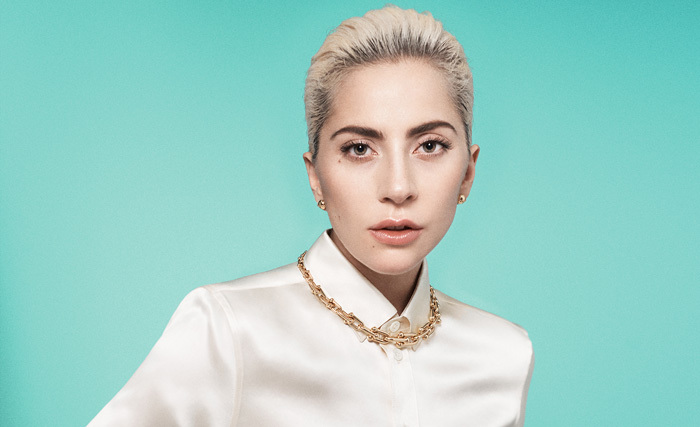 American singer-songwriter, performance artist and philanthropist Lady Gaga is quite simply one of the most prominent pop artists of her generation. With her flamboyant costumes, strikingly unusual music videos, and sexually provocative lyrics, she established herself as a post-modern diva and achieved tremendous popular success. With an estimated record sales of almost 150 million units worldwide, Gaga is one of the best-selling musicians of all time. Born “Stefani Joanne Angelina Germanotta” in Manhattan, New York in March 1986, she was raised in a Catholic household. Gaga started playing the piano at the age of four, and attended a musical theater training conservatory at New York University’s Tisch School of the Arts at age seventeen. Lady Gaga started performing in the rock music scene of New York City’s Lower East Side in 2003. She secured a recording contract with Streamline Records in 2007, and started writing songs for fellow label artists including Britney Spears, New Kids on the Block, Fergie, and The Pussycat Dolls. Gaga caught the attention of Akon, who was fairly impressed of her vocal abilities. He consequently signed her to his own label, Kon Live Distribution. Gaga used to perform in burlesque clubs before she released her debut album, The Fame, in 2008. The album peaked at number 2 on the Billboard 200 Albums chart and went on to sell 4.6 million copies in the United States alone. It also received tremendous response in Europe, particularly in Germany and the U.K. The singles “Just Dance” and “Poker Face” peaked at number 1 in the U.S. and both received quadruple platinum certification. The enormous response to the album led to a deluxe edition, The Fame Monster. Released as a standalone EP in 2009, it debuted at number 1 in Australia and reached number 5 on the Billboard 200 in the United States. The single, “Bad Romance”, became a massive global hit, reaching number 1 in 12 countries worldwide. Gaga released her second studio album, Born This Way, in 2011. The album encompassed a variety of genres such as opera, heavy metal and disco, selling more than 6 million copies worldwide. Her third studio album, Artpop, came out in 2013 to mixed reviews. The album, nonetheless, became her second number 1 album in the United States, selling more than 258,000 copies in its first week. Cheek to Cheek, Gaga’s collaborative album with Tony Bennett, also debuted at number one on the US Billboard 200, with first week sales of 131,000 copies. Lady Gaga has embarked on several highly successful concert tours in her career. A few of them include: The Fame Ball Tour, The Monster Ball Tour, Born This Way Ball, and Cheek to Cheek Tour. Lady Gaga has won numerous awards and accolades in her career, including 6 Grammy Awards, 13 MTV Video Music Awards, 6 NME Awards, 13 Guinness World Records, 3 Brit Awards, and a Songwriters Hall of Fame’s Contemporary Icon Award. Lady Gaga’s personal life has attracted widespread media attention. Her outrageous fashion sense and unusual music videos have aroused widespread public and critical attention. Gaga is reportedly engaged to actor Taylor Kinney. She is also well-known for her philanthropic efforts and social activism.